What can you do in Bali? Sunbathe at the pristine beach, surf the curling wave, get fun on the banana boat and thrilling rides, taste exotic food, and explore the busy city with crazy nightlife… until you feel like you’re overwhelmed by all these touristy activities. 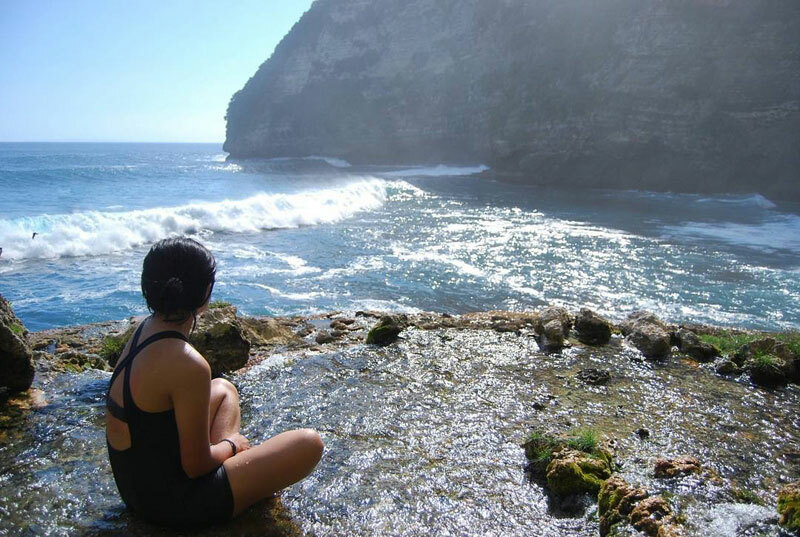 At that point, you’ll feel like you’re no longer a tourist looking for pleasure, but a wanderer-happened-to-be looking for a chance to get reconnected with yourself and the Universe. ‘Inner peace’, that’s what you’re after. Said Master Shifu of Kungfu Panda. Uhm, we’re really sorry to ruin that philosophical moment we tried to build in the first paragraph. 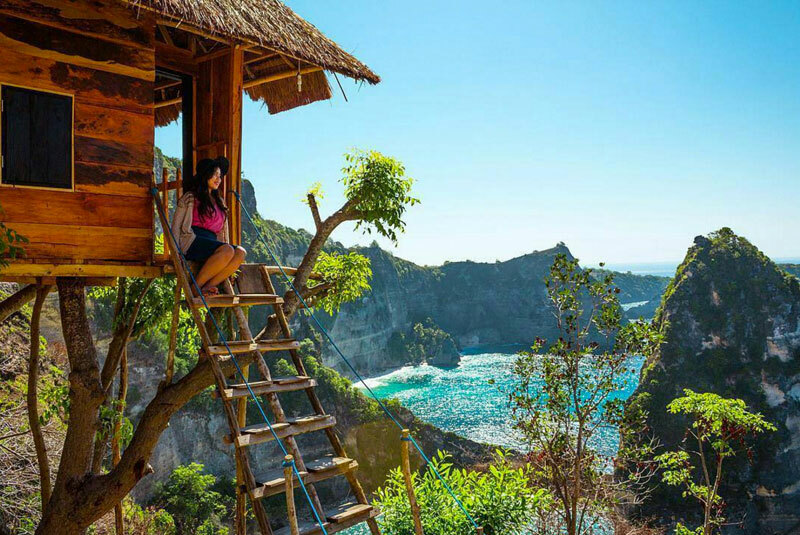 Fortunately, Bali is an island with not just beaches and seas, but infinite beautiful spots where you can enjoy some peace and quiet. 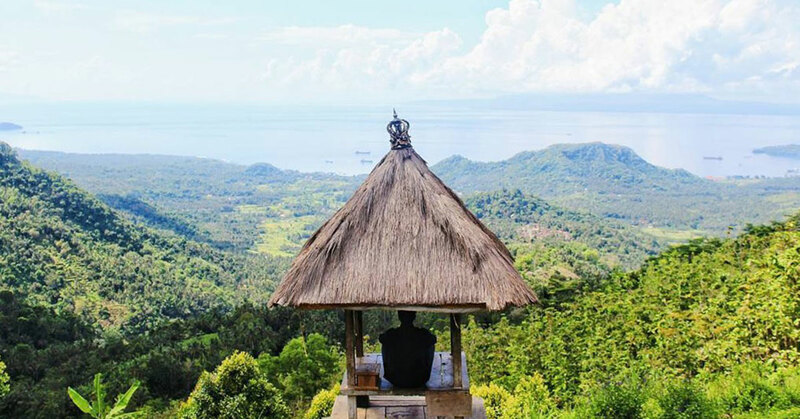 Whether you’re an exhausted traveller looking for a moment of relief, or a fresh one seeking an off-the-beaten-path experience, we’ve found 11 hidden scenic spots in Bali that would amaze you! 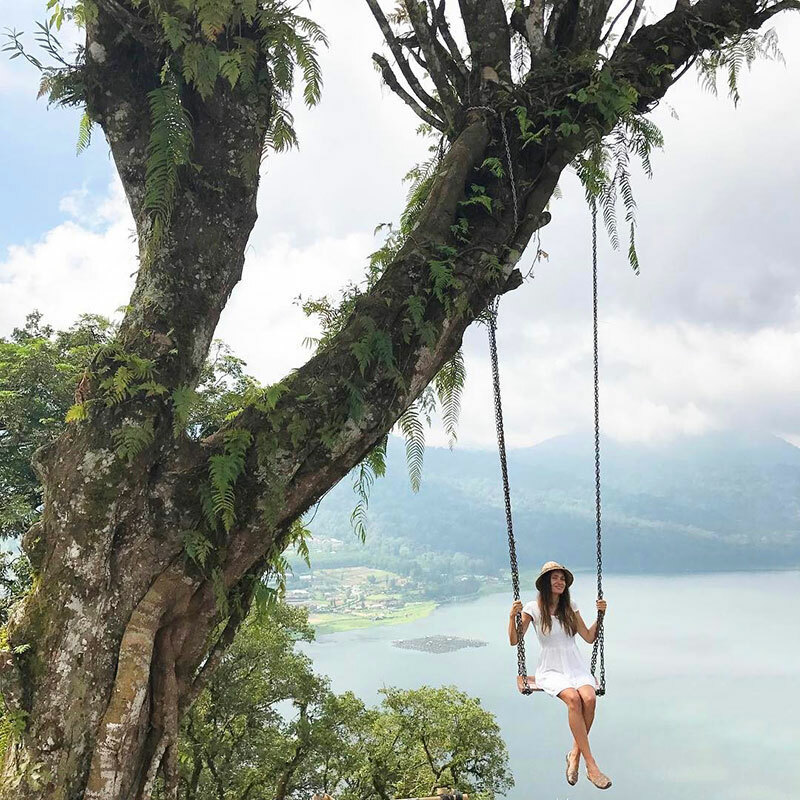 If the huge scenic swing at Zen Hideaway is not thrilling enough for you, you can challenge yourself at this huge one that brings you right over the treetops and Lake Buyan, one of the twin lakes in Bedugul. This whimsical swing hangs from a huge, sturdy tree, but swing out at your own risk! If you are light enough, two of you can go on it! In case you are wondering how on earth to get up the swing, there’s actually a ledge where you can climb onto. 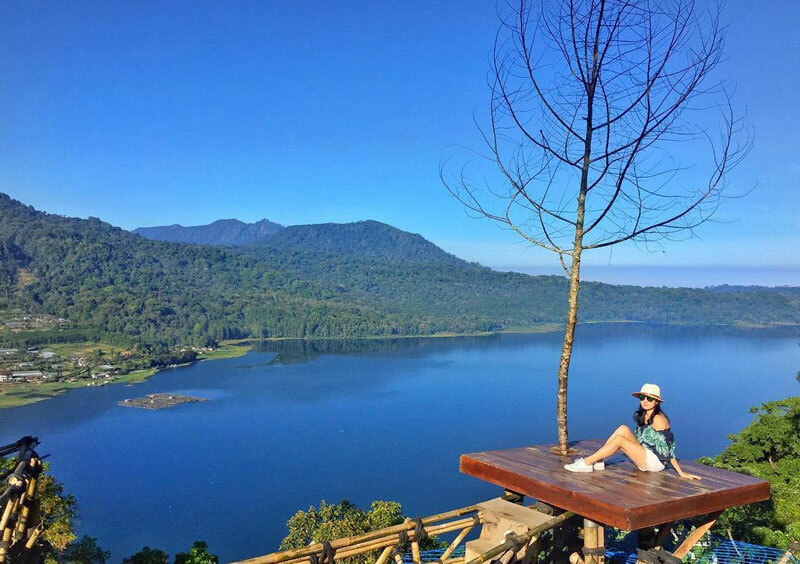 If you are feeling less adventurous, simply chill and Instagram at this bamboo lookout spot right beside it! 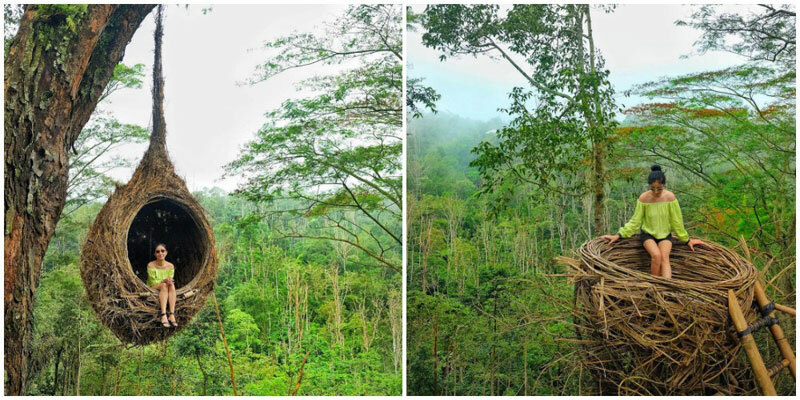 If you drive on for around five minutes, you’ll come by this giant Instagrammable bird’s nest! Now you know how it feels to be on the top of the world! 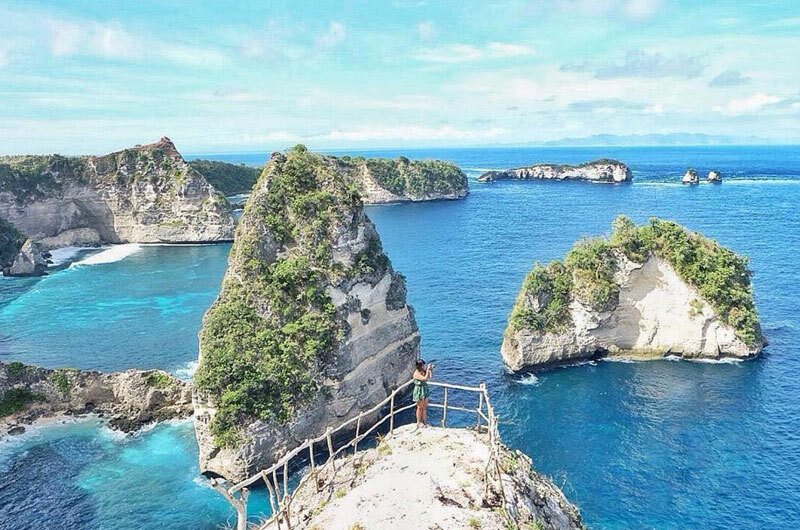 Candidasa in East Bali is famous for its traditions and clear waters ideal for snorkeling. But there’s a hidden place that could become the next hype in the region. Bukit Guungan literally means ‘Guungan Hill’ in English. Once you reach the spot, you can enjoy not only the scenery of Candidasa town, but also the moment where the sea meets the shore! Plus those ‘Gili’s, and yes, ‘Gili’ means (small) island. 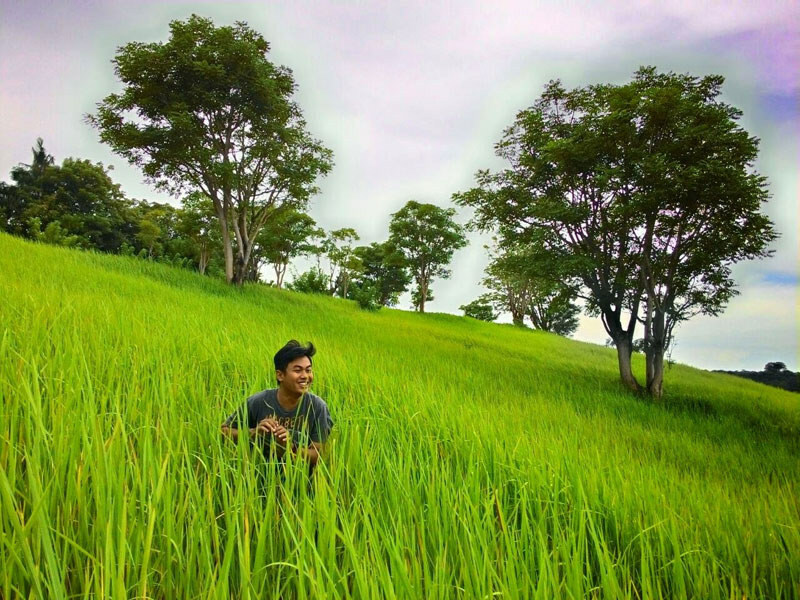 You’ll also be able to catch sight of the other green hill next to Bukit Guungan, with unique farming terrain surrounded by coconut trees. Simply tropical! It’s always a good thing to visit a place before it gets touristy. And that’s the good thing about Bukit Guungan, which is not too popular yet (but growing fast)! P.S. 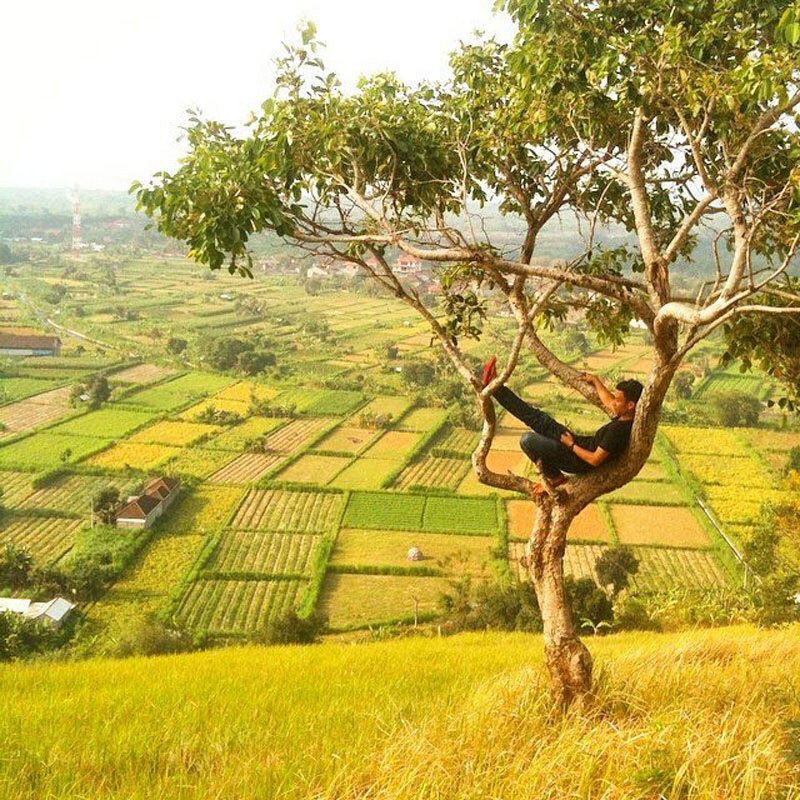 If you’re a thrill-seeker, the hill is also used as a starting point for paragliding. Getting there: It takes around 1.5 hours to reach Candidasa from Denpasar. 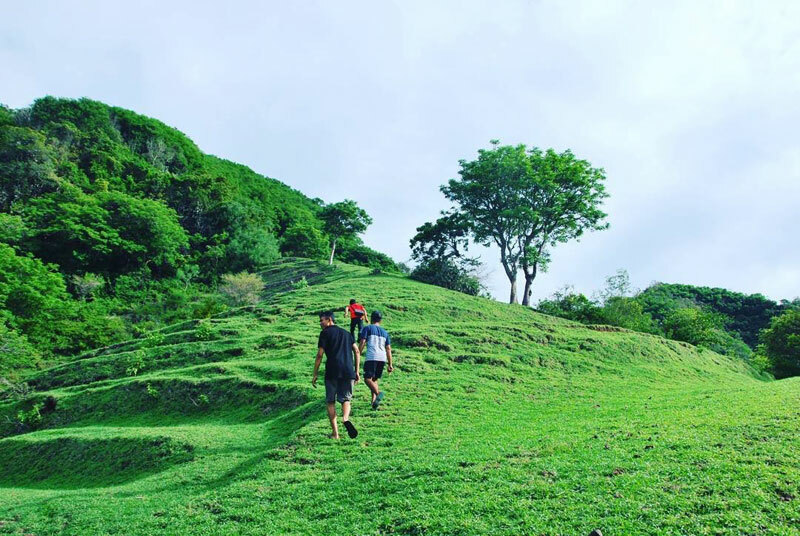 The easiest way to get to this spot is to find ‘Puri Pandan Candidasa’ and ask for help from locals to point out the road leading to the hill. Bukit Putung is another good (secret) lookout point if you prefer green to blue – more lush greenery than the crashing waves. The most iconic part of Bukit Putung is definitely that small Balinese-style pavilion. The cute canopy adorns its surrounding beauty. 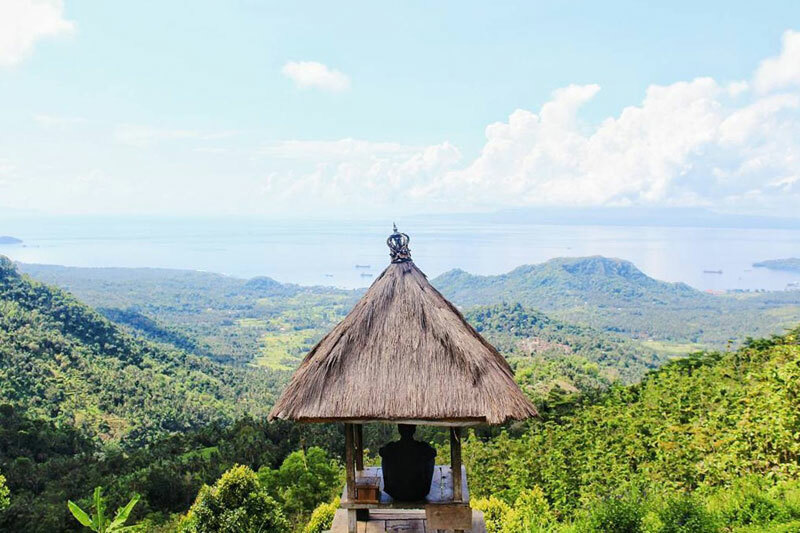 With the combination of green hills, a traditional gazebo, and the horizon that meets the ocean some distance away, you’ll surely appreciate the breathtaking moment! The area was first popularized by an Italian painter several decades ago, whose works depicted the beauty of the village. But sadly, the rise of its popularity was short-lived, and the area was gradually abandoned. But thanks to social media, many travellers are now rediscovering this hidden gem! Getting There: There are several routes to reach the tourism area. One of the easiest ways is to take Jl Raya Manggis from Padang Bai and Ngurah Rai Bypass. Go northeast, at one junction you will see a monument or statue of mangosteen fruit with an eagle on top of it (check this coordinate). Go left (or north) from there, and go uphill until you arrive at the spot. It’s better to go there by motorcycle or a small car, considering the narrow road. 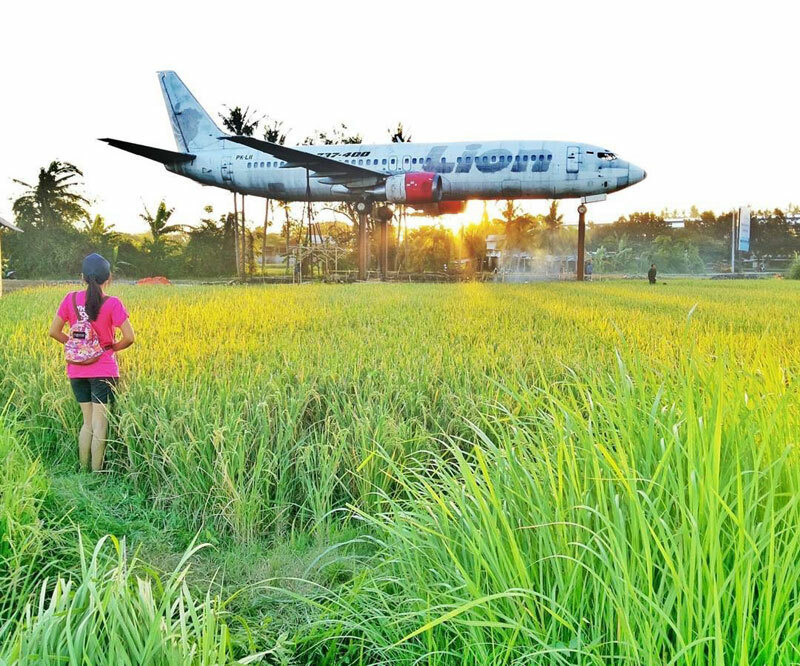 There are several abandoned places in Bali. And some of the most absurd of all are the abandoned planes. And for this one, it’s found in the middle of the paddy fields. Can anything get more ridiculous than this? 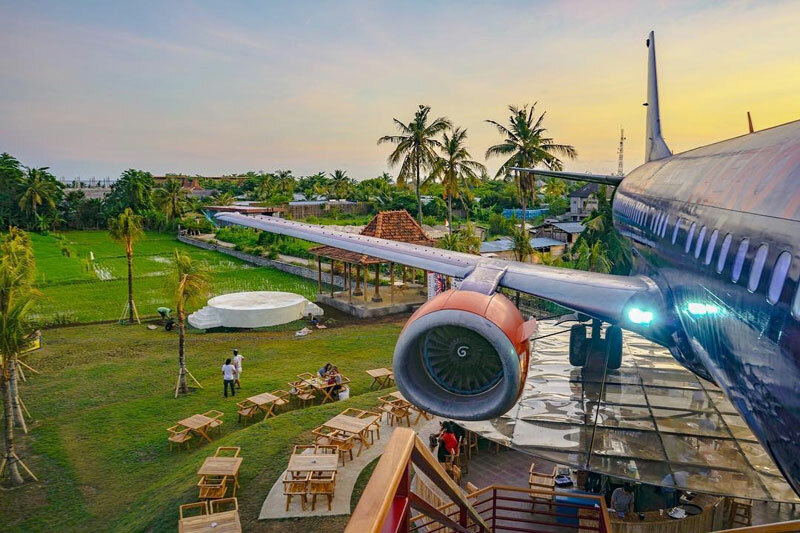 Although we have no idea about the origins of the plane, the area is actually a restaurant and bar called ‘Keramas Aero Park’, located not far from the Keramas Beach, which has been regarded as “the next Kuta”. 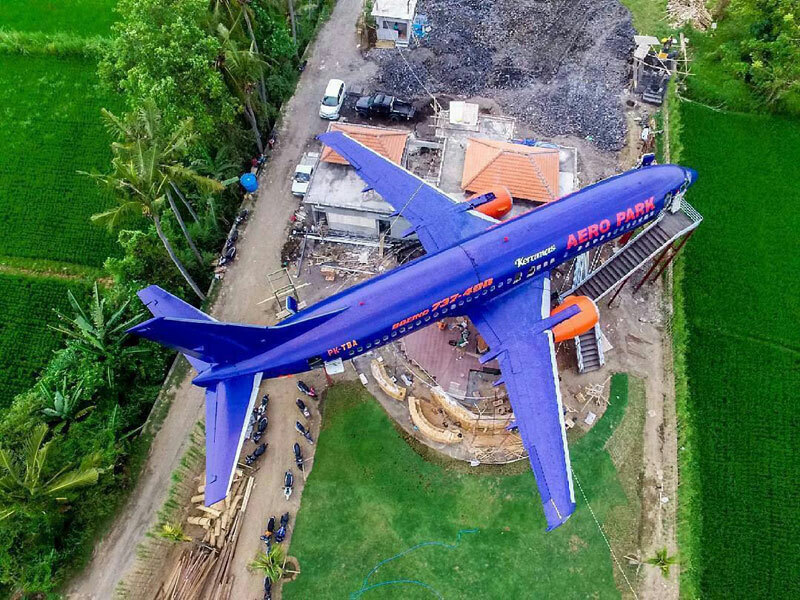 If you notice that the color of the plane has changed, it’s due to reconstruction that had taken place before the restaurant officially opened its doors to customers. It was originally white with a budget airline logo when it was transferred to the area, while the blue one is the most recent. Desa Temukus (also known as ’Temukus Village’) is not green but orange. The place blossoms with pretty yellowish-orange flowers! 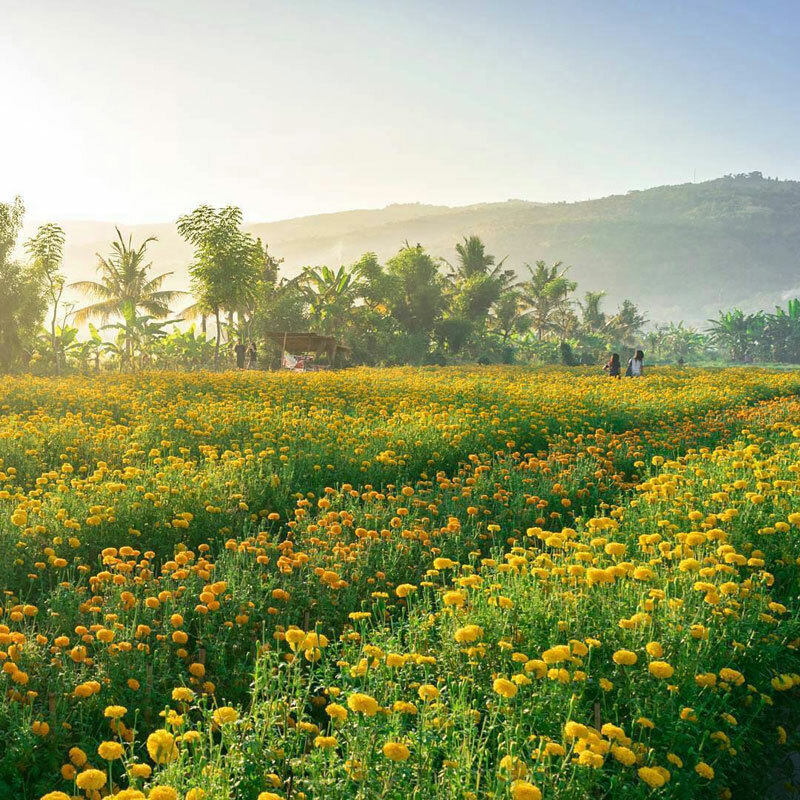 If you’ve ever wondered, there’s one particular flower used in religious rituals in Bali – the marigold flower, or locally known as ‘Gemitir’. 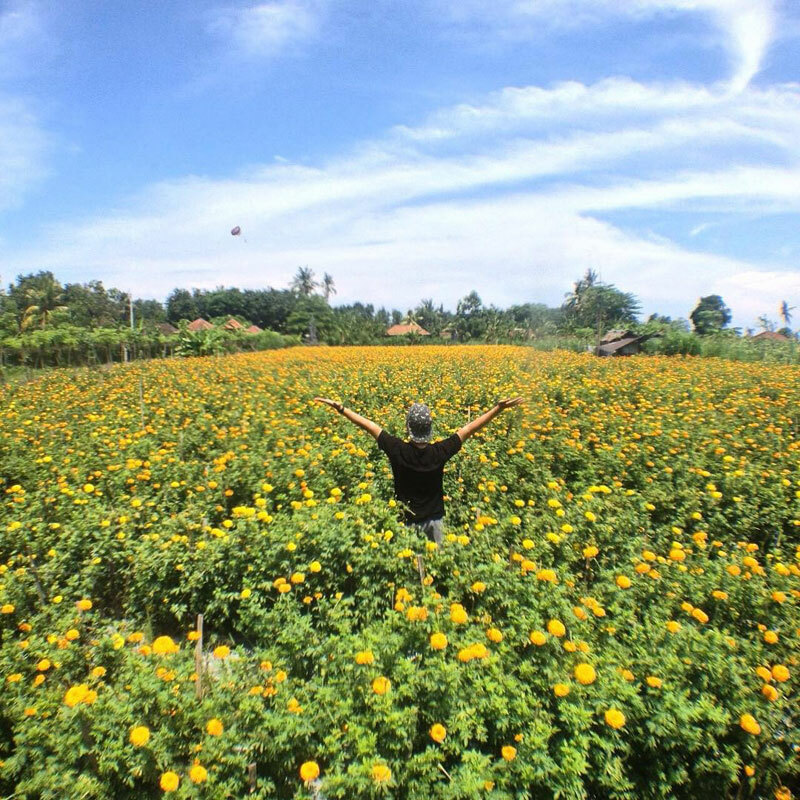 It’s easy to imagine how wonderful it could be to be in the middle of flower fields full of marigold! Desa Temukus is a quiet village in East Bali, close to the holiest (but sadly most commercial) temple in Bali. Many of its inhabitants grow flowers, so you can find many flower fields here. But don’t forget to ask for permission from the locals before entering their fields! Another good news for travellers – the area also has a flower field of Edelweiss (or otherwise called ‘Kasna’). And one crucial tip: it’s better to visit the place before the harvesting season, so you can see the lushest flower fields ever (usually before a major religious day, so do check with your local Balinese friends about the dates, as Bali uses a lunar calendar so the dates change every year). 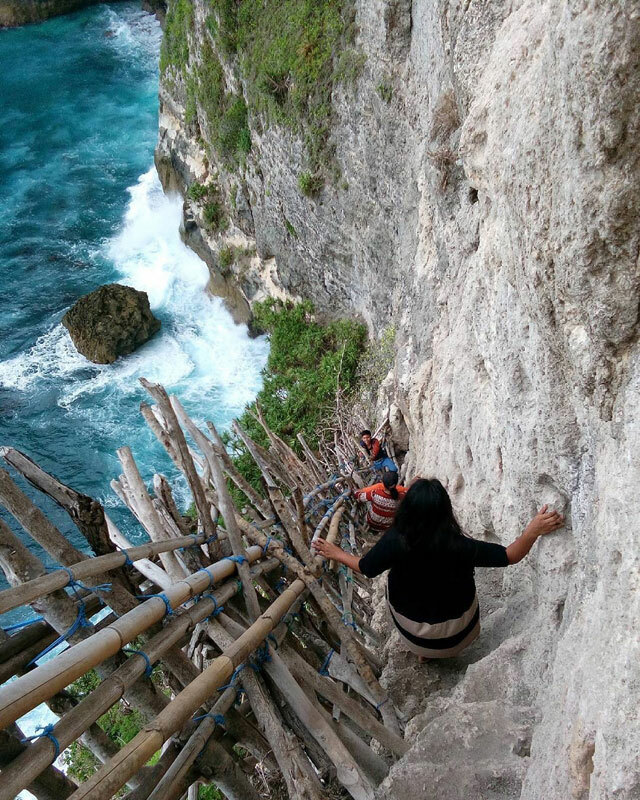 Seganing Waterfall in Nusa Penida could easily become the leading candidate for the most extreme waterfall in Bali. To be more accurate, what makes it extreme is not the waterfall, but the effort required to reach it. 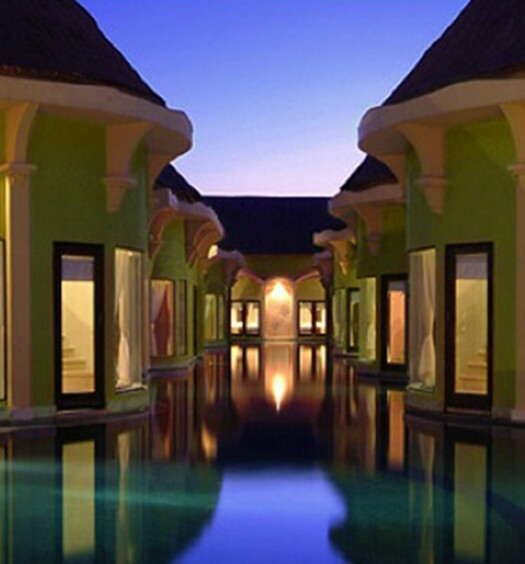 We know that the ‘high risk – high return’ principle sometimes also applies when traveling. Or perhaps we should rephrase to ‘high adrenaline – high return’ to sound more diplomatically appropriate. And that perfectly outlines what Seganing Waterfall is all about! 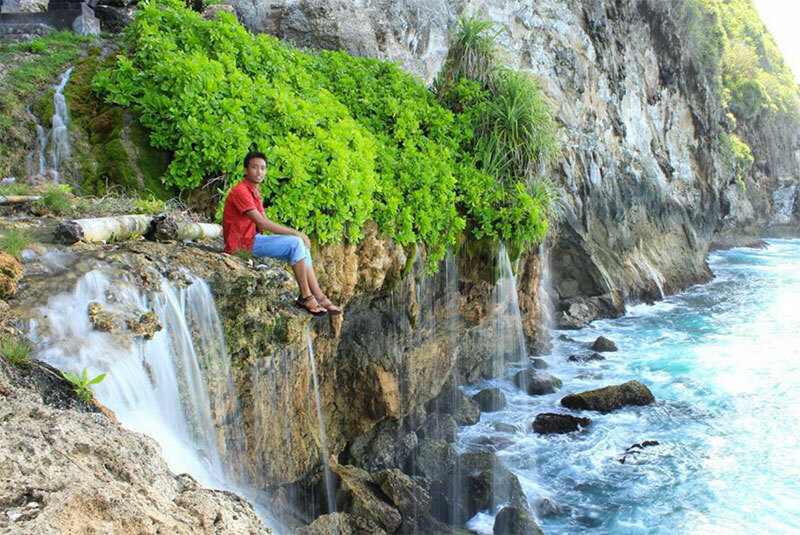 Despite the treacherous route to the waterfall, you will be rewarded by the magnificent view of the crashing ocean waves on the cliffs. 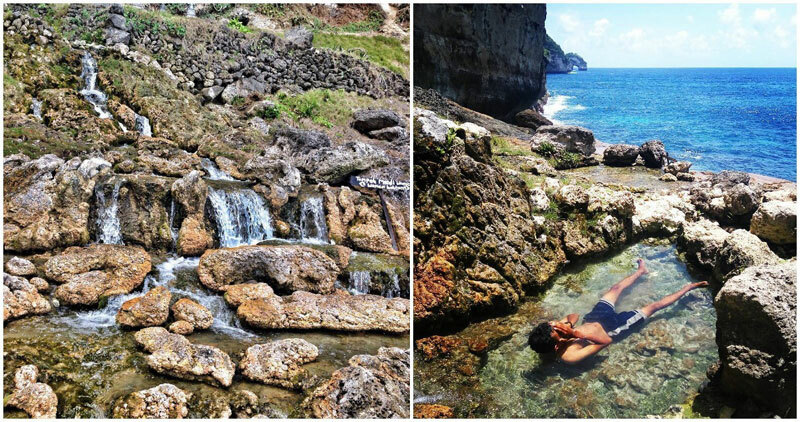 You’ll see water flowing from the waterfall directly into the sea, a small natural pond trapped in the rocks, the quintessential glorious cliffs and gorges of Nusa Penida, and the beautiful crashing waves. Getting there: You can take a ferry to Nusa Penida from a few harbours in Bali, including Padang Bai, Sanur, and Benoa. The easiest way to explore the island is by renting a scooter, and travel west to reach Bunga Mekar village (it can be found on Google Maps). Again, ask the locals for directions once you arrive in the village, as this is an unconventional destination for tourists. If you are an Instagram junkie, you must love this place too. 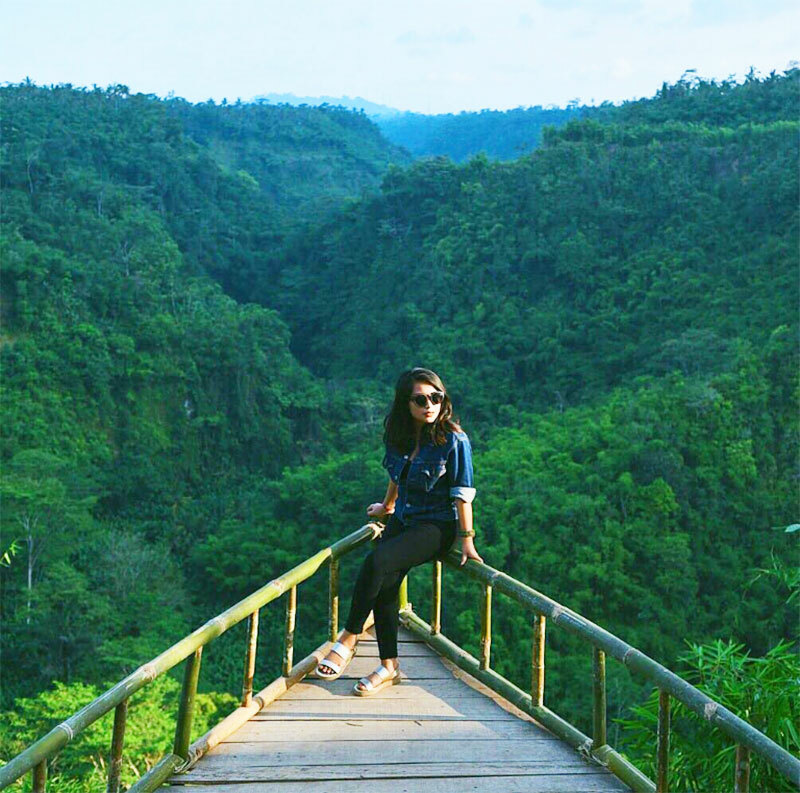 It doesn’t matter if you’re the selfie or scenery type of junkie – Banjar Antugan in Jehem area, Bangli Regency, would be a perfect place for you. 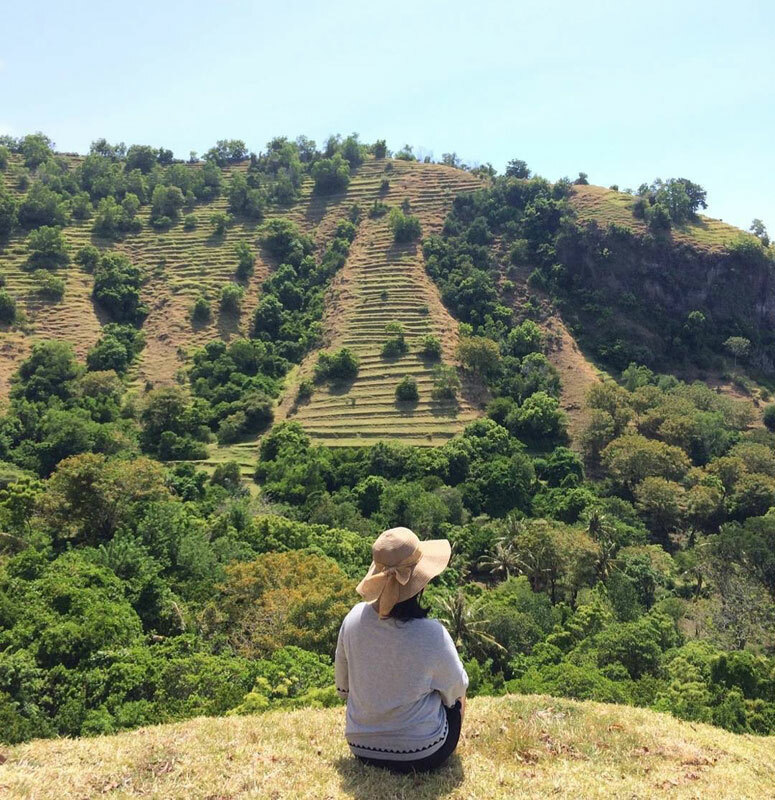 In that village, there’s a valley named ‘Tukad Melangit’, from which you can get a spectacular panoramic view, complete with the clear blue sky and beautiful green hills. 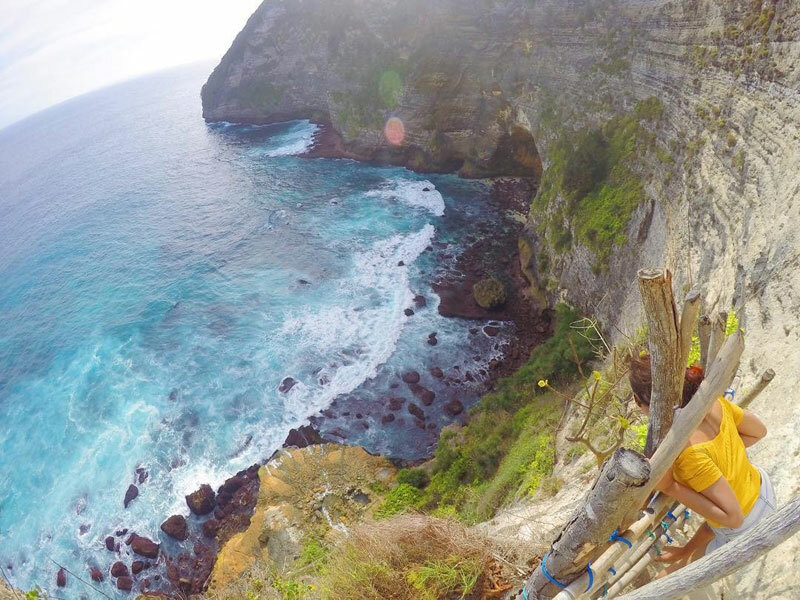 For the selfie-lover, there’s a place constructed from bamboo right on the edge of the 300-meter cliff. That’s where you can take photos while putting your guts to the test! There are locals who take care of the place regularly, so it may not be completely unsafe. But do you dare try? Getting there: From Bangli, you should go east to Tembuku and Rendang (Karangasem). Once you arrive at the Jehem junction, go north for 3 kilometers, and go 50 meters west from Antugan street. Coordinate here. Standing among the breeze on Bukit Belong is a true relaxing experience by nature’s comfort. The tall grass on the lush hill clashes perfectly with the clear blue skies above speckled with the fiery streaks of floating white clouds. 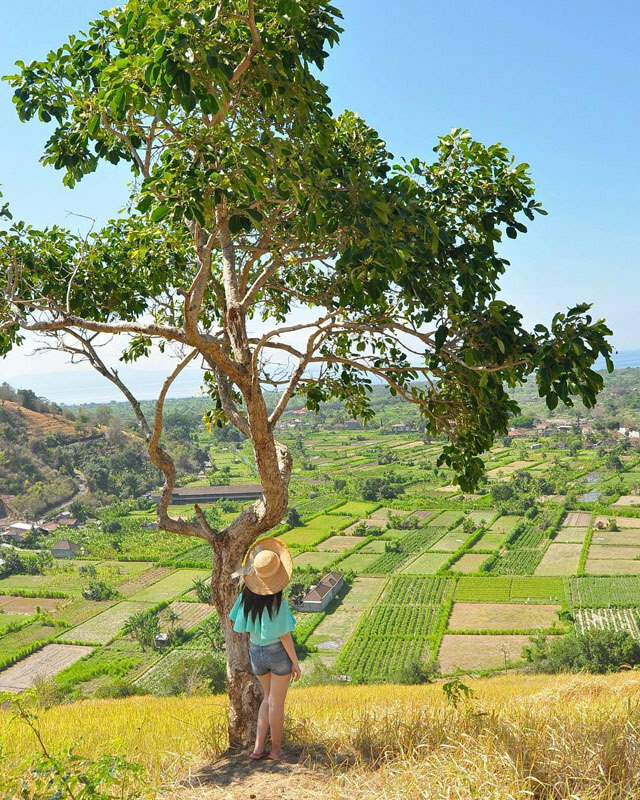 Bukit Belong is a hill that greets you with an extravagant expanse of verdant rice terraces as far as the eyes can see, once you get to the top. Of course, getting here requires a little effort as you will have to climb a short 150-metre trek uphill. Once there, simply capture the scene with nature as your backdrop and relax like a pro, because you’ve definitely earned it after all that climbing effort! 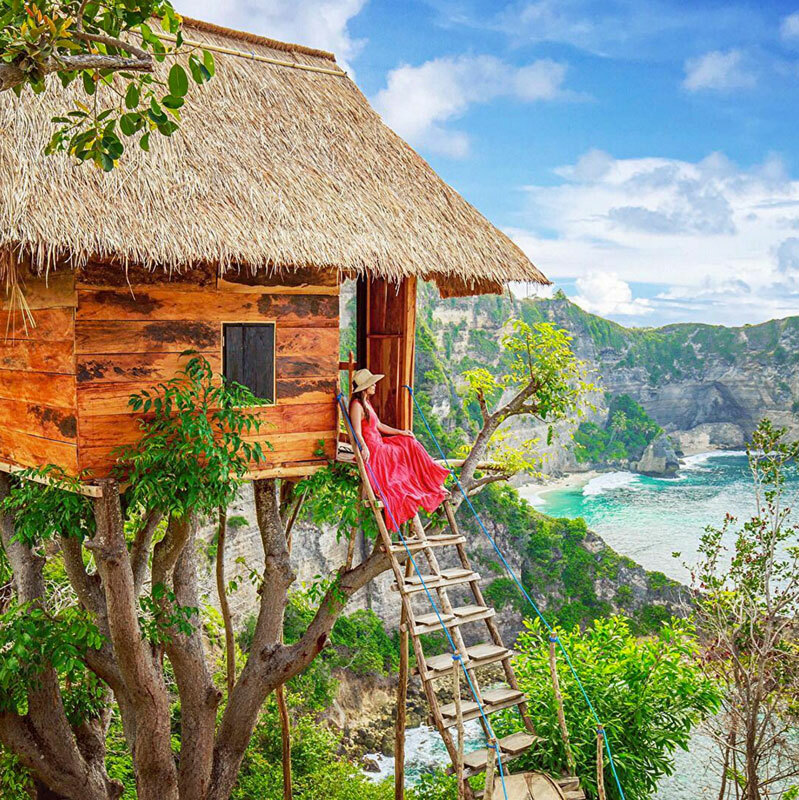 Located right smack on Nusa Penida and looking out at Atuh Beach – this beautiful treehouse is the latest unique addition to the island, providing stunning sights of the dramatic Balinese landscape. Once you’re up in the treehouse and looking out, you’ll be able to see glorious, glorious sights. 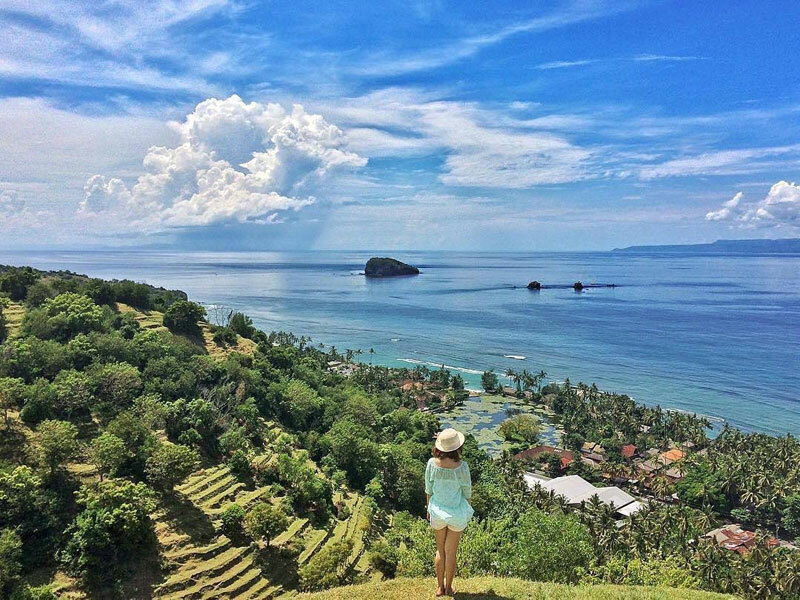 From the pretty Atuh Beach and small surrounding islands like Raja Ampat in Papua, to the many cliffs, ravines and hills that paint Bali’s landscape – it’s a sight not to miss! Thankfully, the treehouse was built with a ladder, so you don’t have to literally climb the tree just to get to the treehouse! Just bring a picnic along and make it a stunning memory atop a tree, complete with crazy views and delicious food! How’s this for an Instagrammable moment? 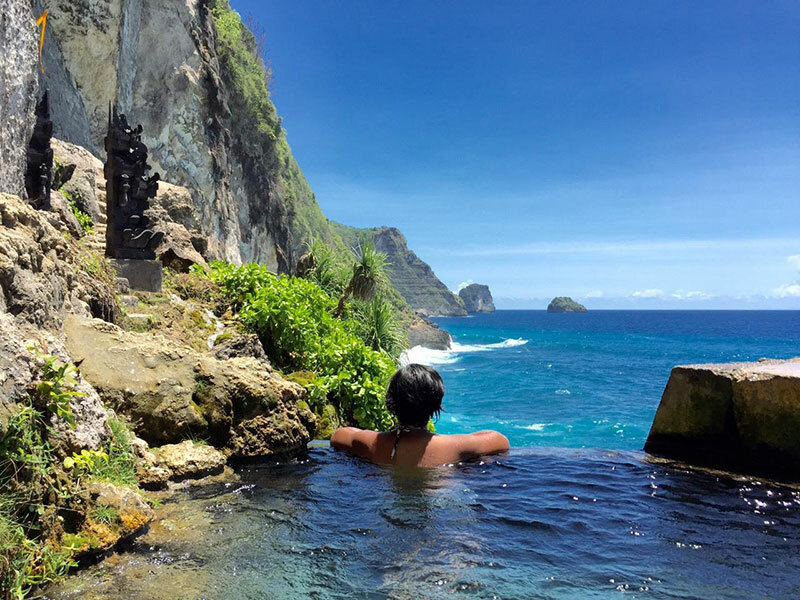 Peguyangan Waterfall on Nusa Penida isn’t a towering vertical torrent of water like the jungle falls in central Bali. Instead, it’s a series of short, cascading spring fountains that eventually make their way over a steep ravine and into the sea. 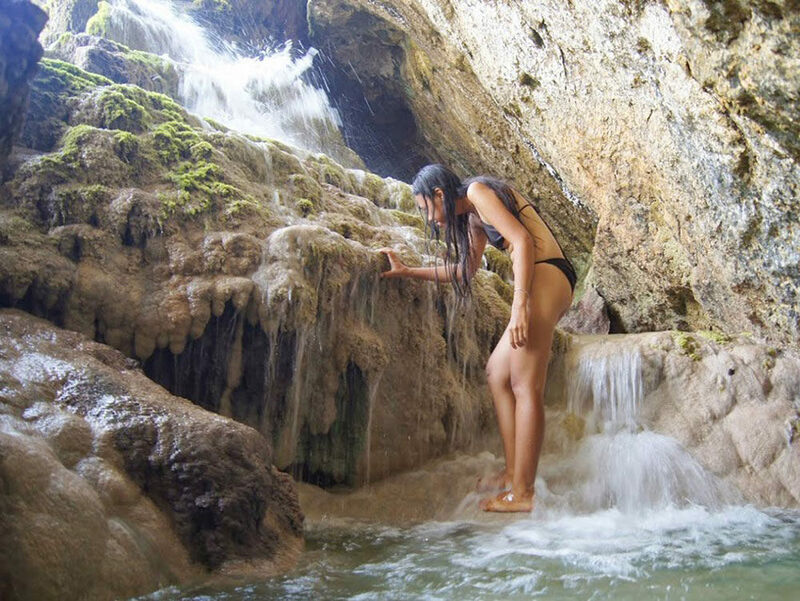 Away from the ravine, the cascades make a great place for all to enjoy a ‘natural spa’, and a massage from the fast flowing waters as they burble over the shallow ledges and pools. 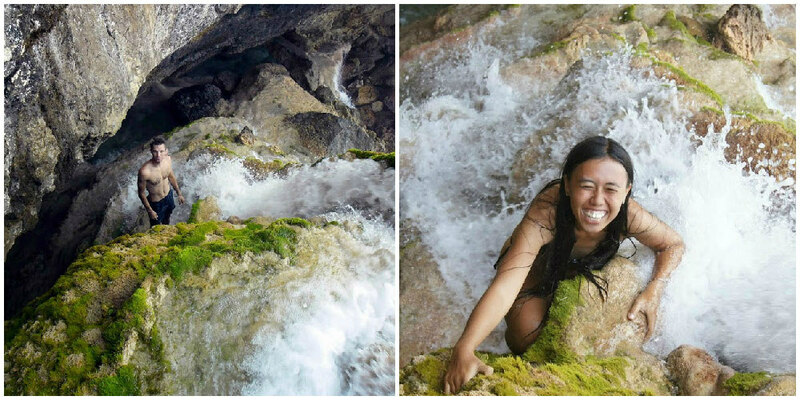 Reaching the springs involves a descent down narrow stairs against the wall of the ravine. After some 460 steps, the gorgeous sight of the cascades is both exhilarating and relieving. Check this amazing adventure from Travel Life Love! 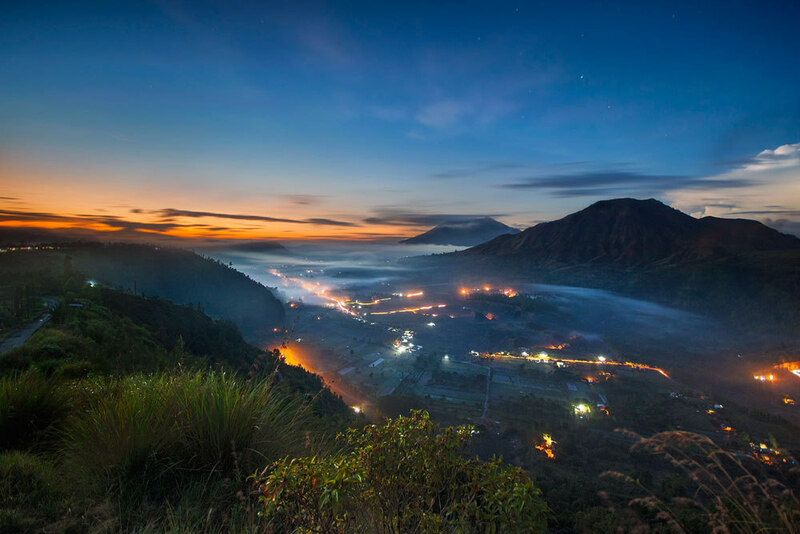 Mount Batur (1,717m) is the most visited volcano in Bali, but most visitors usually join the tourist hordes at Kintamani village for views of the majestic fire-breather. 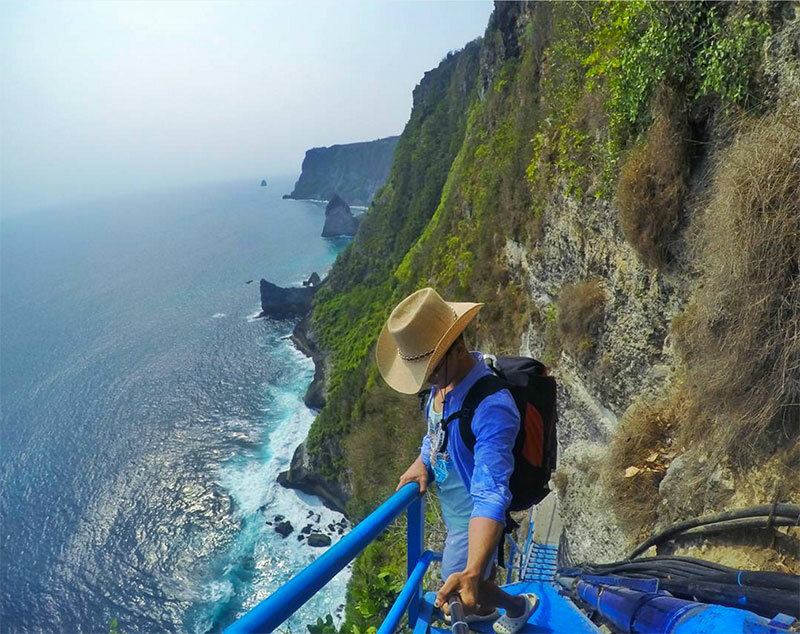 For a view of Batur that’s arguably more spectacular, we suggest you head to the more isolated village of Pinggan. Here you can experience the fierce splendour of the active volcano in a more solitary, meditative setting. 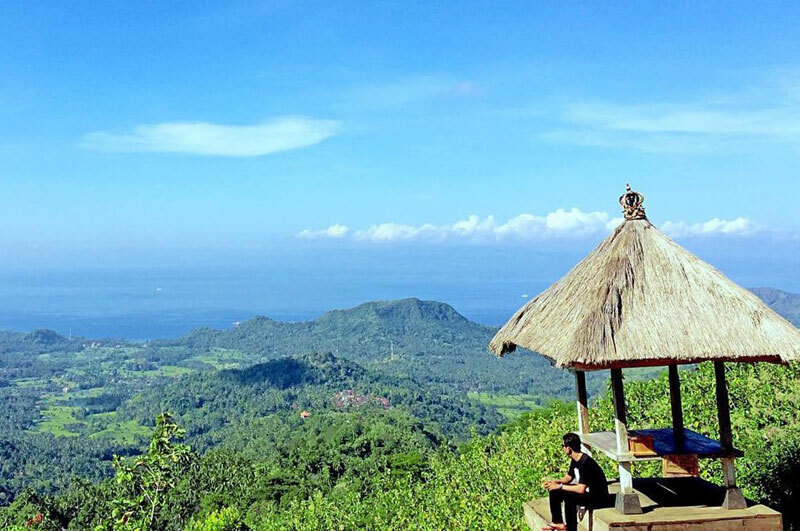 Batur is at its most photogenic at sunrise and sunset, and even makes for impressive night photography – with the lights of Pinggan village spread out at the foot of the mountain, and a sky full of stars twinkling above the peak. 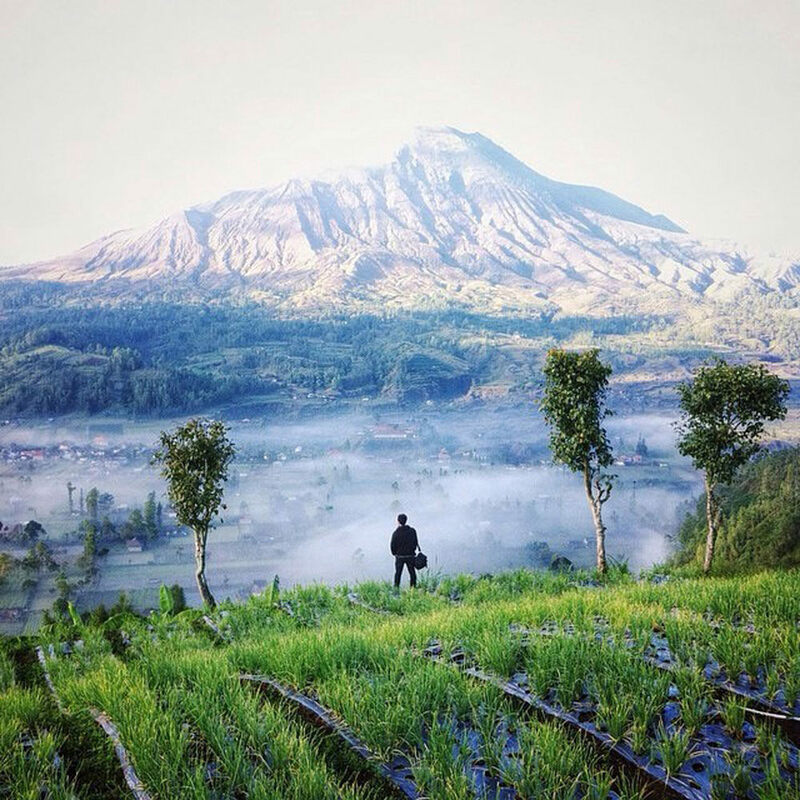 Getting There: Most Mount Batur tours don’t stop at Pinggan village (which is why it makes it so gloriously uncrowded), so you’re best getting there on your own steam. 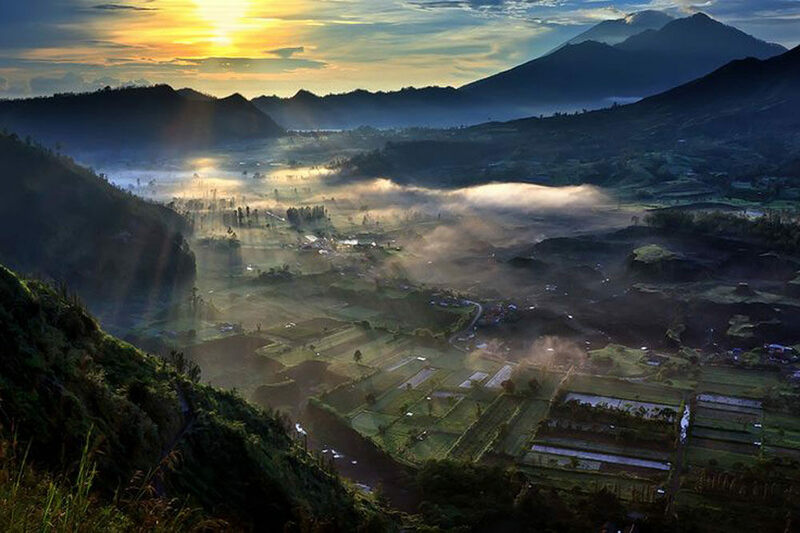 Ubud is the nearest major tourist hub and Pinggan is about 45km, or an hour’s drive away. 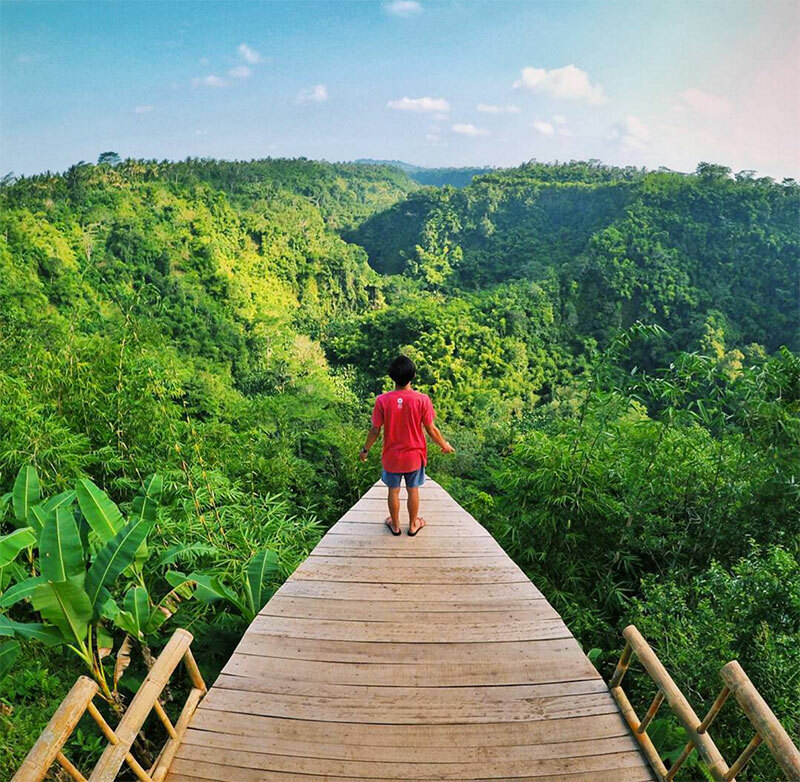 Do you know of any other non-mainstream scenic places to visit in Bali? Let us know in the comments below! Wondering wanderer. Wandering wonderer. Traveling is a meditative media to have a deeper connection with oneself, others, and the Universe.